Then, after a few more viewings, Tron: Legacy began to grow on me. It became my guilty pleasure and is now something I can enjoy for what it is. And because I was able to get to that point, I was in the right frame of mind to watch and enjoy the Disney animated series Tron: Uprising, which only got one season before being canceled. Set before the start of Legacy, Uprising takes place inside Argon, a city in the Grid where Programs live and work. When Clu’s forces occupy the city under the rule of General Tesler, a lone mechanic named Beck (voiced by Elijah Wood) takes up arms. In doing so, he draws the attention of Tron (voiced by Bruce Boxleitner), who is in hiding and looking for a successor to wear his mantle as leader of a new resistance. As “The Renegade,” Beck launches a one-man campaign against the occupation, inspiring idealistic Programs like Mara and causing enough mayhem to give the General’s forces sleepless nights. So what did Tron: Uprising have to offer? There’s really a surprising amount of depth to these characters, from conflicted hero Beck to the more cynical Tron. Not only that, but we also get to see into the world of the villains, with sympathetic agents like Paige contrasted against cunning psychopaths like Pavel (voiced by Paul Reubens—yes, as in Mr. Pee-wee Herman). Backing up this cast and the different personality changes they undergo is the spot-on writing, which knows when to be subtle and when to let the ham and cheese go flying. Seriously, I could go on with the number of good voice actors chosen for this show, especially given how surprising some of those picks were. Of course, no Tron adaptation is complete without the one and only Bruce Boxleitner, but then we’ve got big names like Elijah Wood, Paul Reubens, John Glover, Aaron Paul, and Tricia Helfer. I even recognized Nate Corddry’s voice before I saw his name in the credits, which is great since I loved his role on the equally short-lived Studio 60 on the Sunset Strip. A darker spin on the Tron universe. Compared to the giant end-of-the-world villainy that we’ve seen in the two Tron films, the Occupation of Argon is far more local and sadistic by comparison. 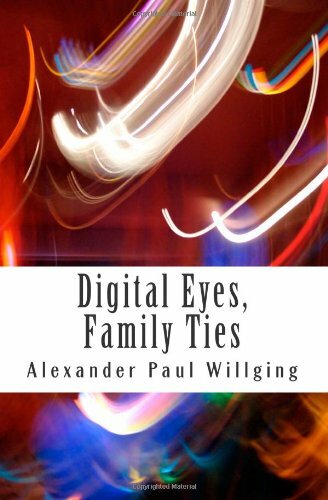 General Tesler and his minions Pavel and Paige are more involved in the daily lives of Beck, Mara, Zed, and the other civilians, enforcing order with electronic jackboots and an iron grip on dissent. Tesler also shows a cunning side by using propaganda techniques to pin every problem in the city on the Renegade, spreading Wanted posters and pro-State signage that fits the police state vibe. Because of the animation, we’re also treated to far more gruesome ways in which Programs can die, including the extremely severe scarring that Tron himself suffered offscreen. Fluid animation with sweet techno beats. 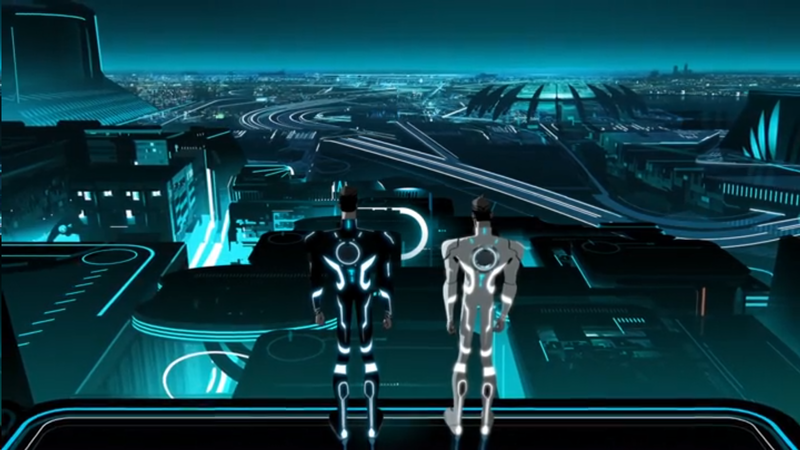 It wouldn’t be Tron without a lot of neon stripes covering black backdrops on every square centimeter of the screen, but not even Tron: Legacy can match the sheer variety and scale of the Grid shown in the animated series. Add to that a new soundtrack that easily captures the energy and grace of Daft Punk’s contribution to the movie and you have a very thrilling combination that never gets tiresome. I really enjoyed catching up with this show. It’s a shame that it didn’t get the network love it deserved. If you’re a fan of the Tron franchise or just really into fluid animation, I highly recommend giving this show a good run or two. Tron: Uprising is available through Disney X.D. Update (June 2, 2015): I wrote in an earlier version of this article that Tron 3 was in production. However, Disney has recently cancelled the film and the reference has been removed from the text. Bibliography: Tron: Uprising. Based on Characters by Steven Lisberger and Bonnie MacBird. Developed by Edward Kitsis and Adam Horowitz. Directed by Charlie Bean and Robert Valley. Produced by Charlie Bean, Edward Kitsis, and Adam Horowitz. Perf. Elijah Wood, Bruce Boxleitner, Mandy Moore, Nate Corddry, Lance Henriksen, Emmanuelle Chriqui, Reginald VelJohnson, Paul Reubens, and Tricia Helfer. Sean Bailey Productions, Disney Television Animation (studio). Disney-ABC Domestic Television (distributor). Disney X.D. (channel). Original run: May 18, 2012 – January 28, 2013.